Enjoy a virtual tour of magical Nepal with our 2014 Calendar. Just $10 + $2.50 shipping (total $12.50) anywhere in the U.S. Makes a great holiday gift, and proceeds benefit CMAF! 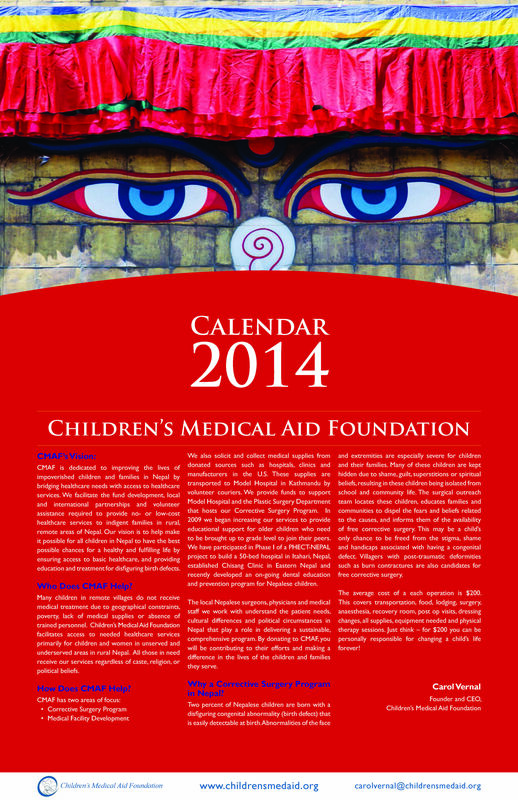 Order your Nepali 2014 Calendar using PayPal!